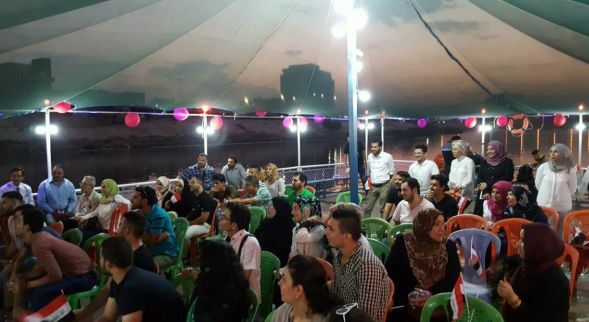 In a ferry in the middle of the Tigris River in Baghdad activists of the Save the Tigris and Iraqi Marshes Campaign celebrated the inclusion of the Iraqi Marshes in the World Heritage List, on 1 August 2016. UNESCO had decided to include several natural sites (Central Marshes, East -and West Hammar Marshes, and Hour al-Hoveizeh) in addition to three archaeological cities (Ur, Uruk and Eridu). The Save the Tigris Campaign and the Iraqi Social Forum celebrated this achievement as an important step to secure the protection of the Marsh environment and improve the living conditions of the local population. The Save the Tigris Campaign has been working for more than four years to protect the Tigris river and the Iraqi Marshes. The inscription of the Marshes as UNESCO World Heritage is an important breakthrough. It is the result of all efforts of civil society, government, and communities. During a speech made by campaign activists, it was stressed that it is essential that Iraq now keeps the commitments that were made in Istanbul. It will have to followup on several of UNESCO’s recommendations. Otherwise, the country risks the removal of the Marshes from the list. The most important requirements are to produce a management plan, restoration of infrastructure in the region and support of local population, and to halt the illegal paoching of fish and birds. 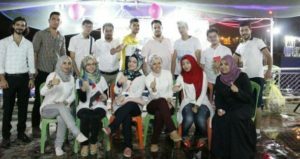 Campaign activists will have to scrutinize the concerned authorities and demand transparency during the implementation process. 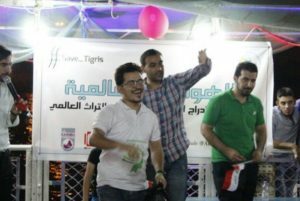 The ferry celebration hosted several interactive activities and a theatrical spectacle by Thorqam Qasim.